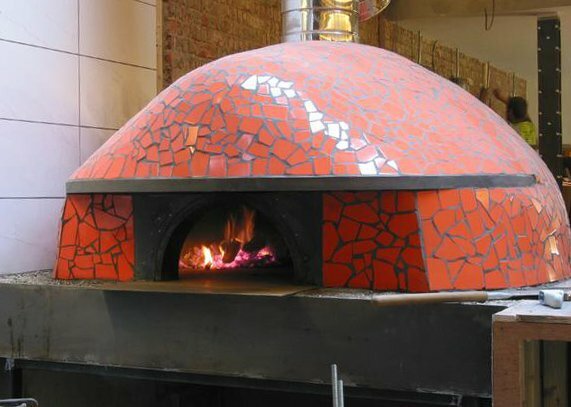 In 2012 we had a call to discuss the building of a hand-made brick Neapolitan style wood-fired oven at Eco restaurant, a foodie landmark on London’s Clapham High Road. They were closing for a complete refurbishment and relaunch so asked us to hand build an oven that would take pride of place at the centre of the restaurant. After several site meetings to discuss the build and how to style the restaurant interior, we began building the oven on a steel table made for us by the contractors on site. 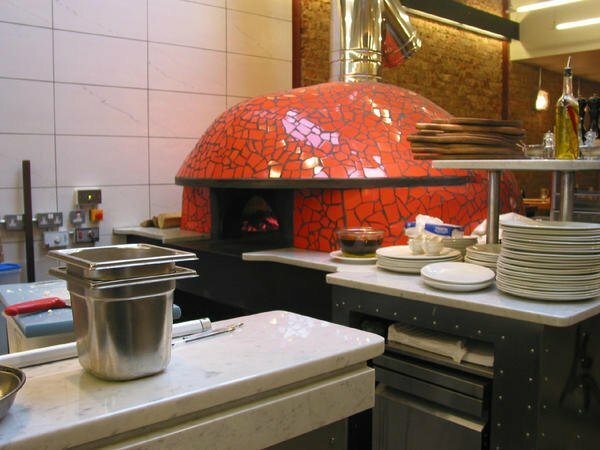 The form of a Neapolitan oven is different in design from most pizza ovens in that it has an external smoke hood with the flue running back over the oven dome and exiting centrally to a main smoke stack. 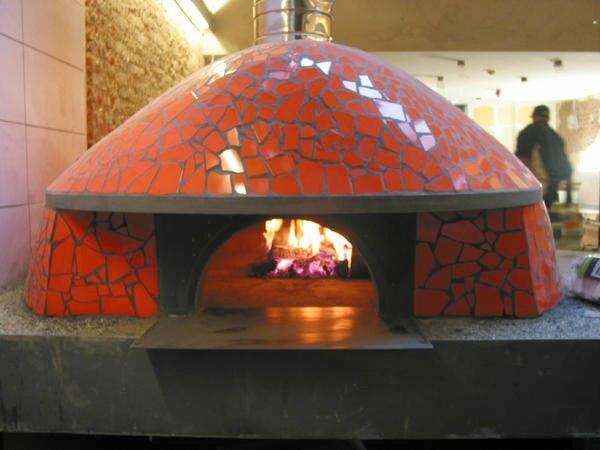 Hand-made with 100mm firebrick internally, the dome and hearth retain the heat exceptionally well and with its high mass and superior insulation all around, cooks very efficiently on very little fuel. Eco restaurant uses the full thermal cycle of the oven, working at 350-400C during the day for pizza and other foods that need high heat and by morning next day is cool enough to bake their famous sourdough loaves before lunchtime service. 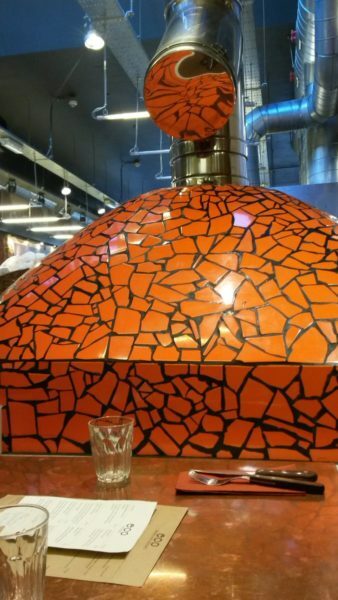 With its bright orange tiles, it is the beating heart of the restaurant and much loved by owner Sami Wasif and his hard-working pizzaiolos who knock out fabulous sourdough pizzas all day and night. 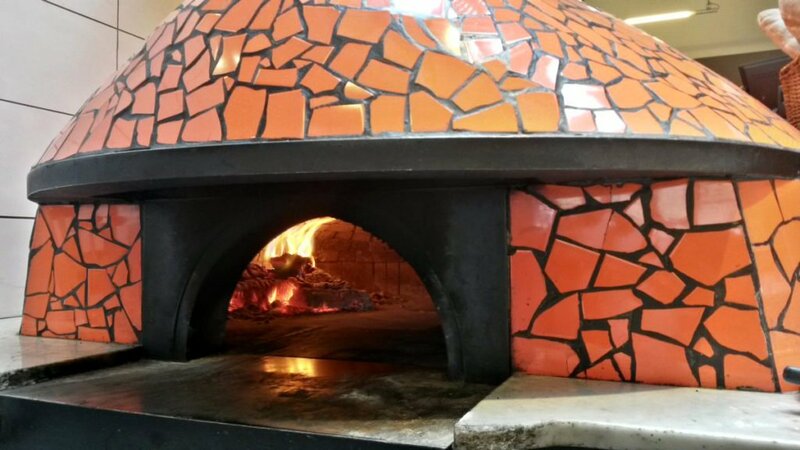 If you’re interested in us hand-building a brick oven for you on site please use the contact page here. 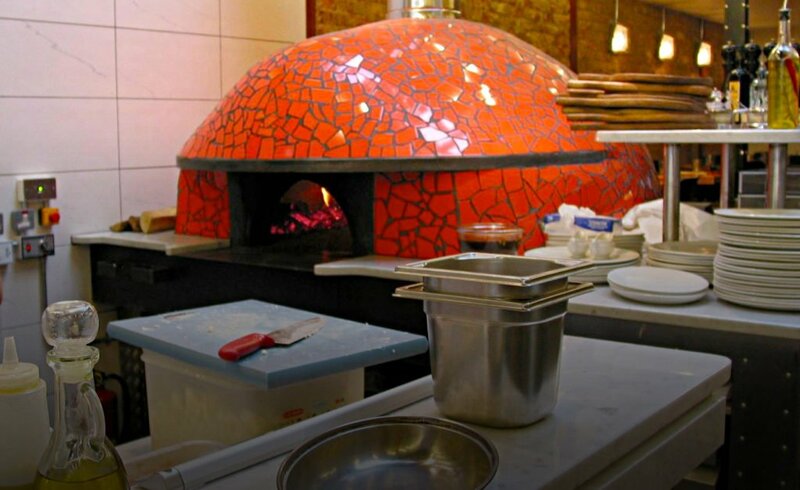 Brick ovens need to be built on site unless there is adequate access and load bearing floor as they can weigh in at 3-4 tons. Bricks are mortared with special heat stable cement and takes real skill to build a dome with no formwork as joints are near vertical and rely on the suction of the mortar to the brick.